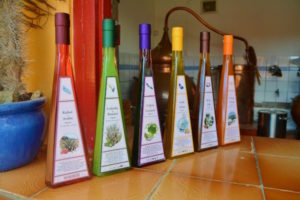 Cadushy Distillery: The Cadushy Distillery is a traditional distillery where liqueur is made on the premises from cactus – and ready for sampling! Relax in their tranquil, shaded garden under ancient Calbas trees while enjoying a variety of home-distilled liqueurs including their famous Cadushy of Bonaire Liqueur or newly launched line of products entitled The Spirit of Bonaire including a new spiced rum, vodka, and whiskey. The Cadushy Distillery, located in Rincon, is open Monday, Wednesday, and Friday from 10:00 AM until 5:00 PM. Den Laman is waterfront vacation rentals offering 16 fully air-conditioned studio, one and two bedroom apartments with every-other-day maid service. Take a look at our amazing apartment views and packages and decide which one is perfect for you and your family. Besides the apartments we have also a great package of activities like sea sports and beach activities.